Myriam has been in clinical practice for 23 years and has taught internationally for 22 years and in the UK for the last 8 years. She has a unique, eclectic approach, which combines the mind, body and spiritual aspects to treating patients. Her training began with Acupuncture and Homeopathy then onto her own research into remedies via bio resonance machines. She then studied diet, nutrition and herbal medicine, which are incorporated in order to advice patients regarding lifestyle and remove maintaining causes. The spiritual aspect of the origin of a disease is perceived using insights gained intuitively via astrology, tarot and from her understanding homeopathic remedies. 1984: Myriam’s journey began in 1984 when inspired by her medical Father, she went for 2 months to Sri-Lanka to study Acupuncture at the Open International University for Complementary Medicines. There, she fell in love with Homeopathy and studied for 6 ½ years. She became the Head of the University Homeopathy Department and taught Homeopathy internationally at World Congresses on Complementary Medicines in Australia, Canada, Sweden, Spain, India, Budapest, Cuba, Denmark & the UK. She was awarded an MD (MA) and PhD for her studies on asthma and first book on Homeopathy. 1991: She returned to the UK, started practising Homeopathy and studied Classical Homeopathy at The College of Homeopathy n London. She learnt German & attended Seminars in Germany on Bioresonance machines. 1992: Held a World Congress on Complementary Medicines in London, hosted by The Open International University for Complementary Medicines. 1999: Lectured at The World Congress of Complementary Medicines in Athens, Greece. Paper Title: The Homeopathic Management of Chronic Diseases. 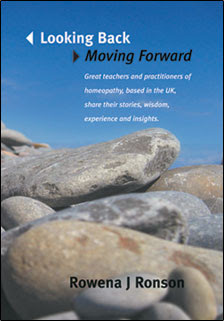 2000 to Present: Became part of the editorial team for ‘Homeopathy International’, magazine of the UK Homeopathic Medical Association, and later ‘Homeopathy in Practice’ the magazine of the Alliance of Registered Homeopaths. She published many articles on various subjects including : Bowel Nosodes, Chinese Medicine & Homeopathy, Bioresonance machines, Water, Dog constitutions, Clinical tips, Narayani Remedies and many more. 2002: Myriam became the chief teacher of the 4-year Acupuncture course for The Association of Natural Medicines. 2006: She began teaching on a Medical astrology 2-year course and Homeopathy & a Homeopathy & Paediatrics course. 2007 Present: Started teaching regular seminars in Reykjavik, Iceland. 2008: Presented a paper at the World Congress on Complementary Medicines in Austria. Paper Title: 5 Elements in Diagnostics. Currently, Myriam teaches at several colleges and holds her own seminars, she has several specialist subjects. Her passion is research with the aim of educating and progressing homeopathy for the 21st Century. She is currently writing her books and teaching Seminars both nationally & internationally. Myriam's seminars and talks for Galahomeopathy.